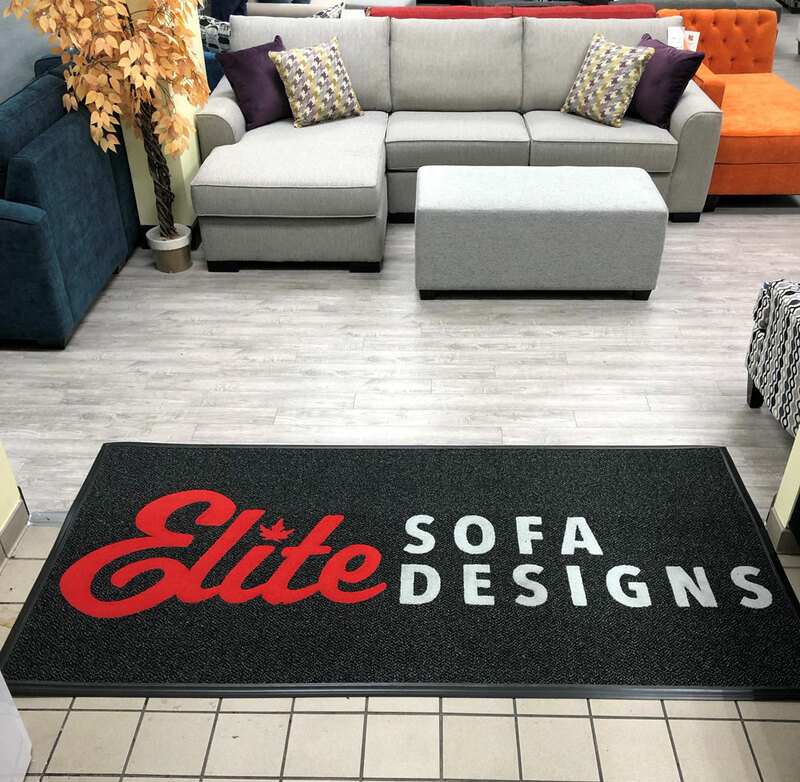 Elite Sofa Designs - Commercial Flooring & Mats Vancouver | Source Floor & Specialties Inc.
We built these three custom logo mats for Elite Sofa Designs using our Grizzly FX premium dryer/scraper matting. These mats feature Grizzly FX in Onyx, and use Victory Red and Silver for the inlaid logo. 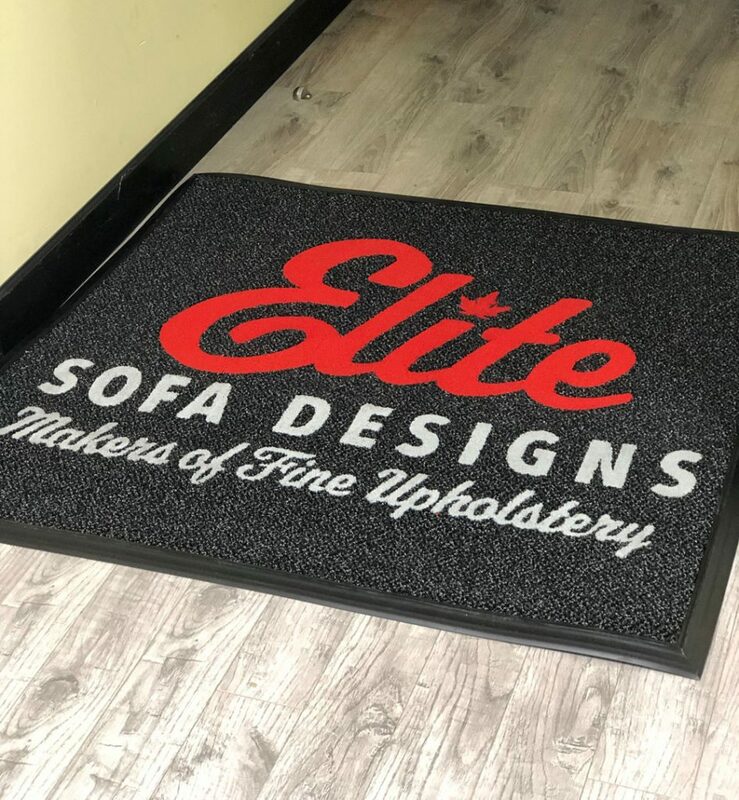 Did you know that all our logo mats are inlaid, and not printed? 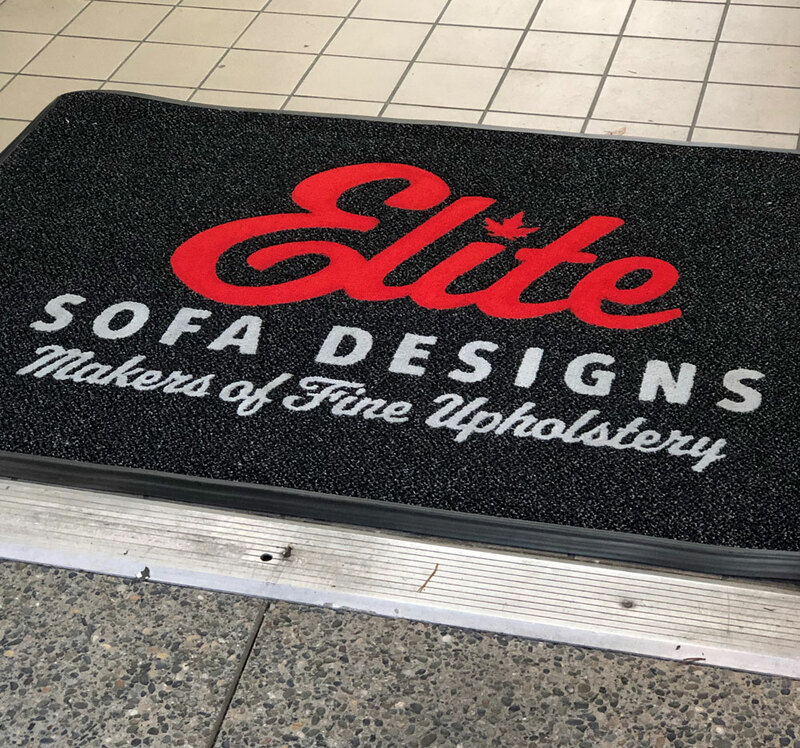 Check out Elite Sofa on their website or on their Facebook page!